Home > Products > Ya Ya Creations Black Beaded Acrylic Round Charger Plate 13"
Set a modern elegant table with the Ya Ya Creations Black Beaded Acrylic Round Charger Plate 13". 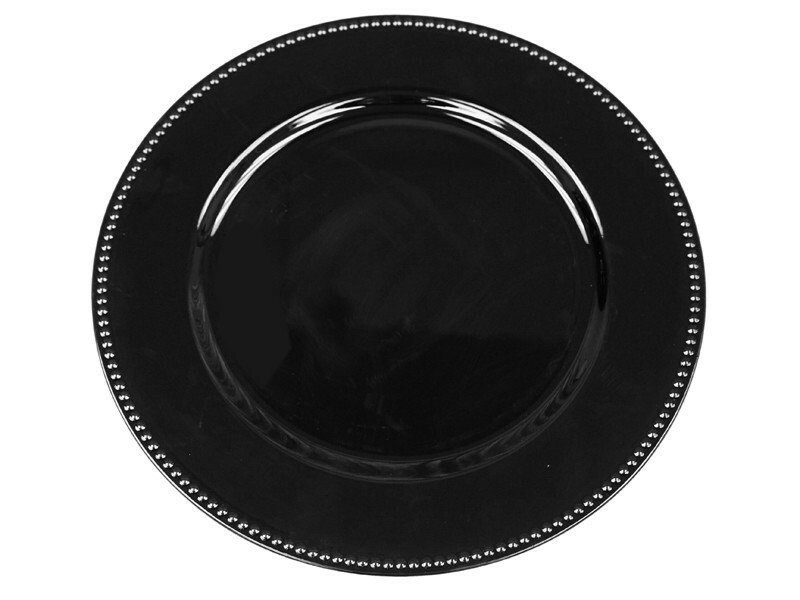 Perfect for weddings and special upscale events, this sleek black charger plate provides a striking backdrop that layers beautifully beneath white ceramics and dinnerware. Accented with a beaded rim, this charger perfectly frames individual dinner plates at each place setting. Made from high quality acrylic, this charger plate is exceptionally durable, making it ideal for multiple use. The perfect harmony of form and function, this charger plate not only complements high-end table settings but also protects against spills and mess.